Pointers on enhancing your child’s academic success. I believed David’s teacher was pushing my son beyond his math capabilities. David refused to give up, and he often worked past his bedtime trying to complete math assignments that he didn’t understand. He needed an advocate, and if I hadn’t gone to bat for him, he might not be the math whiz he is today. As parents, we must be ready to stand up for our children— even if the situation is confusing and intimidating. Over and over, major educational research studies have shown how vital it is for parents to be involved in their children’s schooling. For instance, encouraging education supports children’s achievement more than income, educational level or cultural background. The earlier parental involvement begins at home the better the results. And the children of parents who participate in school go further in school and attend better colleges than those with uninvolved parents. Participating in your child’s education doesn’t mean that you bombard the teacher with questions about your child’s progress. Rather, it might begin with the simple question, “How did Andy do in school today?” And don’t wait for scheduled parent-teacher conferences. Instead, regularly take a few minutes to discuss your child’s progress with his or her teacher, whether on the phone or via e-mail depending on what the teacher prefers. Also, check your child’s homework, keep track of assignments and assist your child when he or she doesn’t comprehend an assignment. Why is homework important? Educators agree that homework increases a child’s learning as long as it isn’t busywork, and is kept within reasonable boundaries. The length of time your child spends on homework should depend on your child’s grade level and the teacher’s requirements. To avoid homework hassles, try the following ways to help your child with assignments. First, have a regular workspace nearby where you can monitor your child’s progress. Outfit the workstation with a kid-sized desk and supplies, such as pencils, pens, colored markers, a dictionary and a thesaurus. If you can’t find a quiet corner for a desk or table, use a large box to store educational materials between sessions. Depending on your child’s age, you may also include a computer or laptop. If your child needs to be near you to stay on task, try the kitchen or dining room table. Also, if your child finds background music soothing, play it during the session. Finally, turn off the TV and anything else that might distract your child from his or her assignments. Create a homework folder. Purchase a two-pocket folder to hold materials that come home from school as well as completed homework that must return to school. Ask the teacher for a copy of the weekly assignments, or have your child jot down the list of assignments, and staple it on the outside of the folder. Inside the folder, label one of the pockets “work to be completed” and the other pocket “completed work.” The goal is to have all assignments completed on time. Not convinced that taking part in you child’s education has lifetime benefits? Consider the following facts. The most accurate predictor of school success is a home setting that encourages children to learn. Parents who participate in their child’s education improve the child’s achievement. 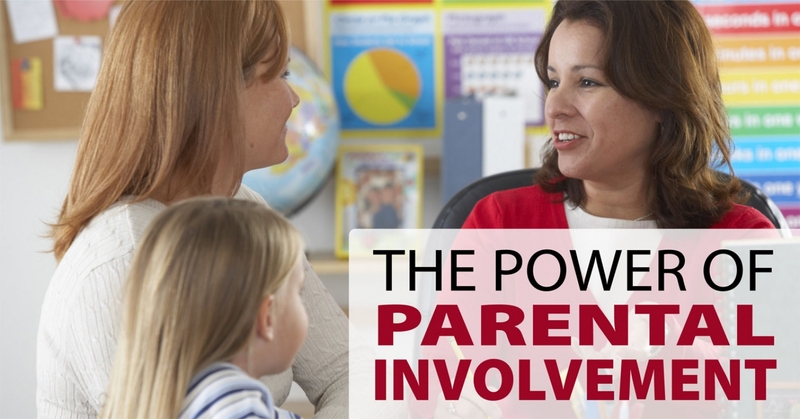 Positive benefits of parental involvement extend through high school. Children from culturally and racially diverse or low-income families have the most to gain from parental input. Rules are a must for a smooth-running family. However, research suggests that less learning goes on in families with an abundance of rules than in families where right and wrong values are stressed. Children display virtues when their parents present a clear set of values about right and wrong, exhibit those values by their own example and encourage their children to decide which behaviors exemplify values. In the long run, it’s the values children learn from their parents, not the numbers of rules, that help kids succeed in school. Remember, the choices your child makes at school are based on the values he learns from you. Talk with your child’s teacher about what your child is learning and expected to do during the school year. Find out how you can help your child at home with school-related projects. Make learning a priority in your home by providing a time and place for children to study. Visit your child’s classroom to learn more about the instructor’s teaching style. Ask your child’s teacher for updates on his progress and where he might need help. Get involved in community, school and volunteer activities. Discuss different colleges and read about interesting careers with your child. Accompany your child to a college campus or job site. Turn off the television during meals and talk with your child about current events, books and movies. The book’s theme is fairness. Marigold and her gal pals are unwelcome in the boys’ clubhouse, until they’re needed to solve a mysterious code. The theme is respect. A grouchy ladybug gets some sense knocked in her head by a whale and becomes a nicer, happier, better-behaved bug. This book also teaches respect. When the students find out that the new overweight girl in school has some problems, they learn to accept her. About the author Wesley Sharpe, Ed.D. Wesley Sharpe, Ed.D., is a retired school psychologist with more than 30 years of experience working with children and families. He is the author of the ABCs of School Success (Revell). Sharpe lives and writes in Fort Bragg, California.